Chris Morgan Please post your member introductions by replying to this message. gazellems My name is Gazelle Simmons. I've been a Virtual Assistant since 1998 and I�m the proud owner of Admin Services. My children and I live in Newnan, GA due to Hurricane Katrina. My business specialties include data entry, presentations, word processing, database management, editing and proofreading services, mass mailings, thesis and manuscript processing as well as other clerical services. My clients have been and continue to be small business owners, independent contractors, website owners, financial advisors, photographers, realtors and writers as well as individuals looking for administrative assistance. I'm working with a health and wellness company that has been in business for the last 24 years. They provide plenty of things we need for daily use such as over 350 products for your home and family-wellness products just for kids, a complete line of superior skin care and cosmetics, natural bath and body solutions, even higher-value pharmaceuticals (no side effects). All are carefully crafted with high standards of quality and performance, and with the safety, health, and wellness of your family in mind. Recently becoming an author of the e-book �What is a VA and how you can become one?� You can view a free preview of this book at http://vatools.frugaladnetwork.com/index.php/book-preview and my novel �That which does not kill us makes us stronger� (TWDNK) is filled with triumph and tragedy with the heroine of this saga overcoming abuse, depression, adultery, single motherhood and Hurricane Katrina as she keeps the faith with her true warrior's heart. Come see how one woman survived it all to continue to rejoice on the other side. Currently, I am serving as the Global Moderator for Moms Working for the Kingdom of God, Website Promoter for the Woman2Woman Lounge and Founder of the Newnan Networkers. I�m also a member of Woman Owned, SmallBizPreneurs Network, LinkedIn, Soflow, Marzar, Plaxo, MicroWebmasters Alliance and Meetups.com. Please feel free to call me at 678-423-3187, Monday � Friday, 9am - 5pm, EST, email me at help@admnsrvcs.com or view my website at http://www.admnsrvcs.com for more information. Take care and God bless you all. Lukeither Willingham Hello All, Firstly I'm an entreprenur and business woman. I strive to strike a balance between my professional and personal life and sometimes I feel I'll never finish school because I love to learn. The thirst for knowledge had put me in the technology industry and I'm the owner of Lukeither Multimedia & Design, an Atlanta-based, full-service web development, web design and custom digital graphics studio. We provide E-Business solutions to the solo entrepreneurs in the start-up phase to medium businesses that are in need of a global presence. The core competencies include web sites designed to reflect the client�s style and personality in direct reflection to any and all current designs while offering key advertising and marketing elements. I look forward to participation in the group and am excited to see familiar faces here. Success is not a spectator sport, get in the game. Melody Ellis I am Melody Ellis from Seagrove Beach, Fl. I've been married to my wonderful husband, Dale, for 8 years and I have three grown children from a previous marriage. I also have full custody of our two grandsons, Seth 4 and Jordan 1 and I am a WAHM & WAHG. I am a freelance writer specializing in the genres of children's literature and non-fiction writing. I also run a business from my home selling Barefoot children's books and gifts. I love the fact that it combines my two favorite loves - reading and kids! I joined ryze to make contacts and meet new friends as well as gain some customers and I look forward to networking with you all. Share the love of books...Go Barefoot! Michael Lemm I'm Michael Lemm, currently in Chesapeake, Virginia .... retired Navy, Father of 3, die hard Wolverine fan, and happy entrepreneur. Rather than attempting a long windy introduction here .... I'll make it easier on everyone and point you toward the link to a "Feature" article done on me recently. Judy Nowakowski Not sure if I ever introduced myself. I live in Michigan with my husband. We opperate a home business. 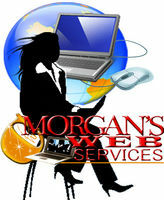 We sell services hosting, web design, advertising, and more. I also run a garden decor biz. Lukeither Willingham Welcome, Michael, Judy and Melody to a great network. I've worked closely with the moderator for almost a year and we met through RYZE. You've come to the best place to take your business to the next level. I look forward to networking and getting to know everyone. Please, don't hesitate to contact me if you have any questions. T.E.A.M. Mom! Hi Everyone, I am Patricia, been here on ryze for 5years, wahcm of 1 great kid (well he is almost 21), founder of TeamMom, owner of 1StopBizResBd on ryze and WBO volunteer. I am an accomplished-published poet, write aritcles, love to paint/draw/sculpt and am actively seeking to pursue a field of business in this area as an owner and freelanceer. Presently, I am working on 2 websites which will cator to party, children/family, decor and gifts and business another that will compliment my ryze board (resources and tools). do for their web presence. place to gain that knowledge. questions in that arena also. Marguerite My name is Marguerite and I began programming since I was in high school. I used this skill later to start helping a local advertising company develop web sites. While learning the ropes of web development, I realized how much I love working on web sites and working for myself. I am now a freelance web developer and my goal is to support myself with this business. Dorsey Garland My name is Dorsey Garland and I'm interested in discusses the opportunity of networking and doing business together. I joined Ryze a couple of months ago just to see what it was all about. It has absolutely amazed me how many great people I've met already and it seems like every day I meet more. Please feel free to contact me and add me to your personal contact list. Kimmy Nelson Hi! My name is Kimmy Nelson. I'm an author and minority owned (disabled female) small business owner and student.